It may come as a surprise to some, but the official United States Flag Code states that “When a flag is so tattered that it no longer fits to serve as a symbol of the United States, it should be destroyed in a dignified manner…” Our friend Robert Carbajal of Carbajal Upholstery in Waco, Texas has found a way to avoid this destruction, and cheer the hearts of our military veterans at the same time. 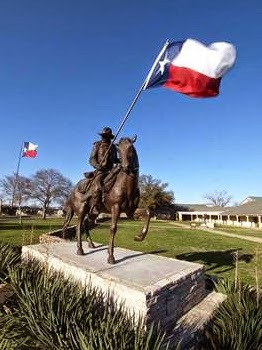 Working directly with the Texas Ranger Museum in Waco, Texas, when the flags that surround the museum become tattered and worn by the elements, they are donated to Robert. One by one, he sews them back together and restores them to their former glory, then placing each flag in a glass case, he presents them to local United States veterans. We appreciate what Robert is doing in honoring our veterans throughout the year, and would like to thank both our veterans and current men and women in service for their tireless defense of those beautiful stars and stripes.